Limited Time Offer! Save 20% on All FlyBoard Sessions! Use Promo Code NASH615 to save big on all Flights!! Check out our new packages! We’ve added an Adrenaline Boost FlyBoard® session. It’s a short flight that gives lets you feel the power and experience the FlyBoard. We’ve also changed some of our other packages, check it out! Add the Hoverboard to any FlyBoard session for $75 for 30 minutes, that’s huge! You get both of the best new adventures on the water in one hour! 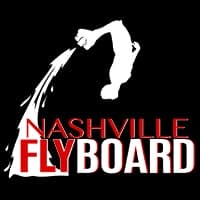 Request two Pro Series FlyBoards, the newest version of the FlyBoard with Independent feet (the coolest FlyBoard® experience possible), for you and a friend to Fly together! Or, we’ll bring two Pro Series Flyboards to you and your group. We serve all recreational lakes in Middle Tennessee, & the Upper Cumberland.